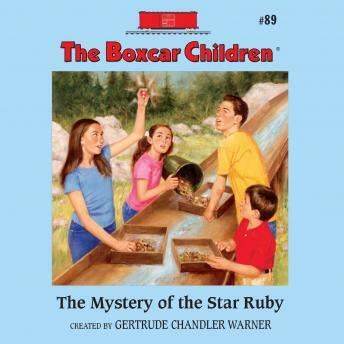 The Boxcar Children have entered the Ruby Hollow Gem Mine’s annual gem-hunting competition. With a little instruction and the right gear, the Aldens have everything they need to become real rock hounds! They have a natural talent for rock-finding, and it’s not long before Jessie makes a fabulous find. But before she can enter her ruby in the competition, it disappears! Could there be a thief at the mine? Now, instead of digging for rocks, the Aldens are digging for clues. Who wants to win the contest so much that they would steal from the Aldens? The children don’t know, but they’re determined to find out!